For older homes, or homes that have been damaged, one of the best investments you can make is to purchase replacement windows. Your home depends on the insulation that efficient windows offer, making it essential that you have windows in excellent condition. If you are in the market for replacement windows in Cupertino, CA, here are some vital tips to keep in mind. Not everyone realizes that replacement windows can be made of composite materials. This means that they can be a mix of wood and vinyl, making it a sturdier option for your home. These kinds of windows are much more durable and they offer a cost that is in between wood and vinyl. Vinyl windows tend to be the most affordable option. They also offer lots of variety, since painting them is a possibility. It is important to note, however, that they can fade with time, especially if the vinyl is placed in direct sunlight for a long time. Keep in mind that you will have to repaint them more often than other replacement window options. There are special energy efficient panes of glass that you can add to your windows. This ensures that your home is insulated from the heat and the cold. Windows have to have energy ratings, so before making any kind of purchase, you will want to consider learning a bit about the kind of rating that you want. If you are not sure about this, speak with an expert and let them guide you. Double hung windows can make your home even more energy efficient. Double hung windows have two panes of glass, with the gap between them usually filled with argon gas, and this prevents cold or hot air making it into your home. Keep in mind that these kinds of windows are a bit more expensive than others, making them perhaps not the best option for someone on a limited budget or someone who has lot of widows to replace. Solid wood replacement windows are excellent insulators against both the cold and the heat, which is why wooden windows are so popular. They can be more on the costly side, however, so if this is an option you want, you will need to budget accordingly. These tips can help you make the right purchasing decision when you start searching for replacement windows for your home. Take the time to read up on the different options you have and be sure to ask experts what they recommend. Reach out to a Cupertino, CA replacement window company to hear about the many options they have available and the benefits each one can offer. Get started today by contacting a company like My Window & Door Solutions. 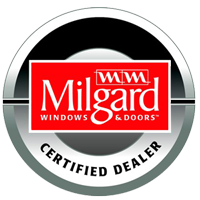 With their years of experience and excellent products, you will get the kind of windows you want. Stop by their location at 1510 Oakland Rd., Suite 130 San Jose, CA 95112 or give them a call right now at (408) 437-6274.